The Luxbanx Duo Small Rectangular Softbox from Impact is a versatile 16 x 22"" light shaping tool for strobe, LED, and fluorescent lights. 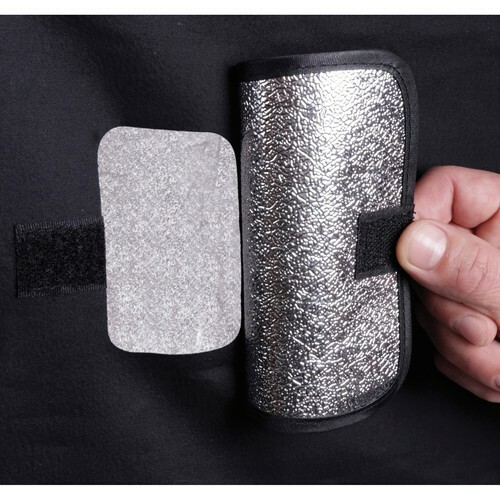 It's also useable with quartz lights up to 750W due to its heat resistant textured silver interior. 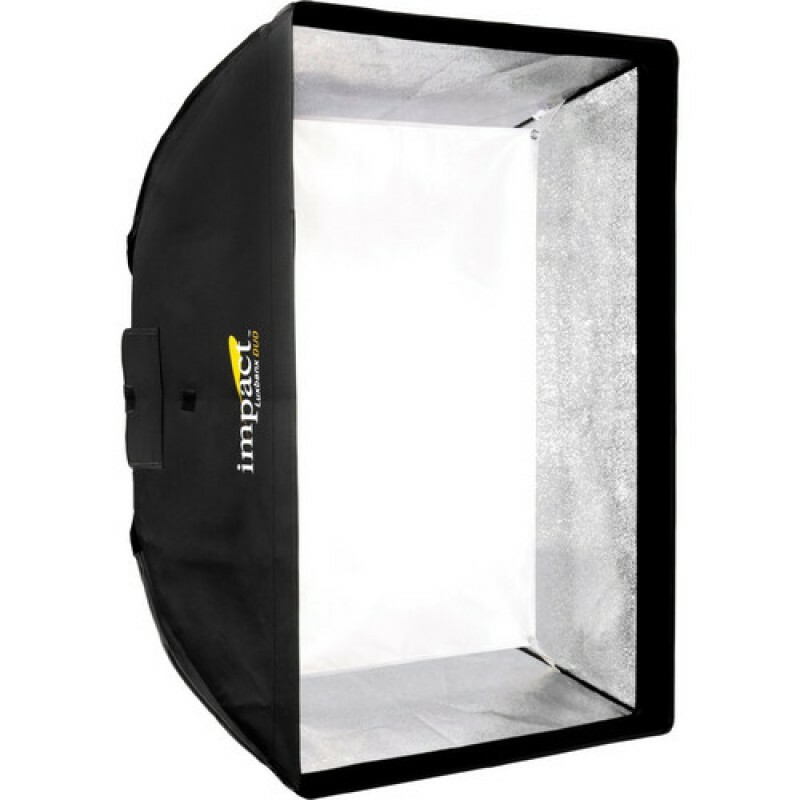 When using the Luxbanx Duo with strobes, both the front diffuser and inner baffle can be used for maximum softening of the output. When using it with hot lights the inner baffle should be removed. 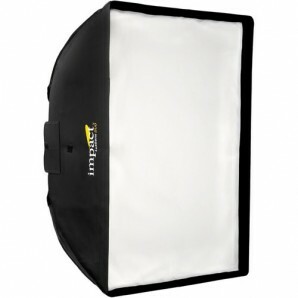 Open face lights can be used as is but it's recommended that you use the flood setting rather than spot on Fresnel sources. 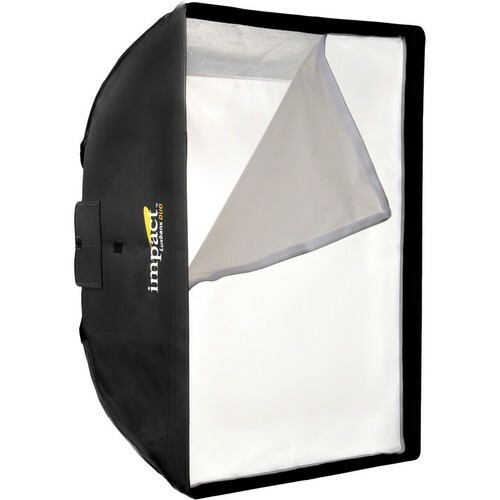 The soft box has 4 forward-opening vents to dissipate heat. Removing the front and inner diffuser essentially turns the Luxbanx Duo into a large reflector with maximum brightness and contrast. 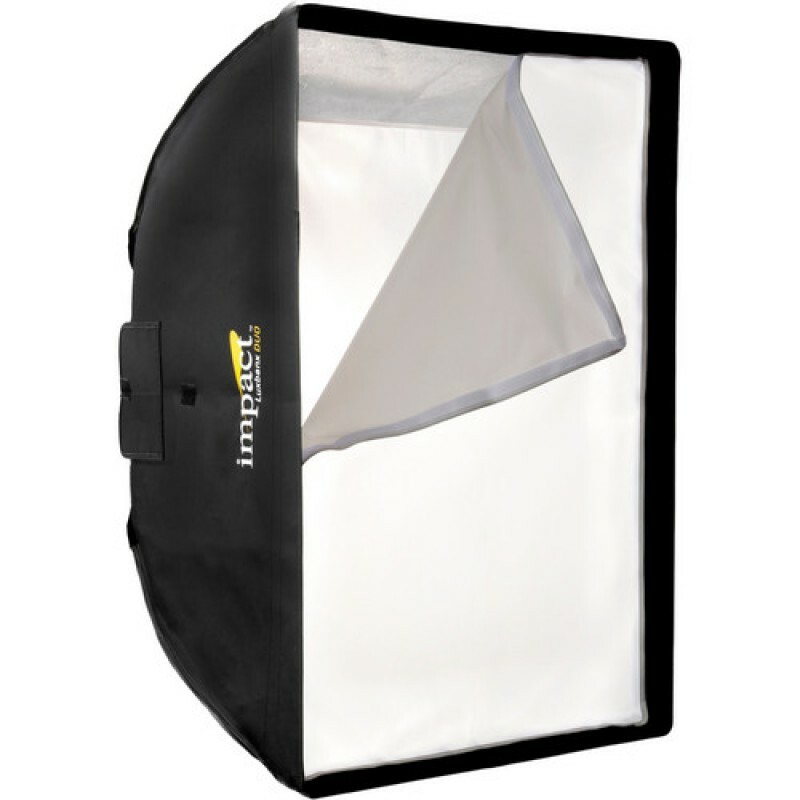 The versatile Luxbanx Duo has an additional control via an optional fabric grid which mounts to the recessed lip of the softbox with touch-fasteners. The grid narrows and concentrates the light's beam forward, controlling spill light and adding directional control to the Luxbanx Duo's attributes. The shape and size of the softbox makes it ideal for fill-lighting, hair-lighting, table top and small object photography or run-and-gun video. Every Luxbanx comes with a carrying case and a spare Flex Rod. Separate purchase of a speed ring that matches your light's mount is required for use. Impact makes models to fit most popular brands.